hello everyone! i'm sorry i'm so so late this month! i have been sick on and off for these 2 weeks so i haven't been online so often these days. lucky for me, ethan is good enough to give his poor mummy a break by sleeping early tonight so here i am! first of all, park ave is my last kit for studio calico for this term. for the coming year, i will be a contributor to the creative team. this gives me the flexibility to design only on certain months so i can make way for life and to spent more time with ethan. 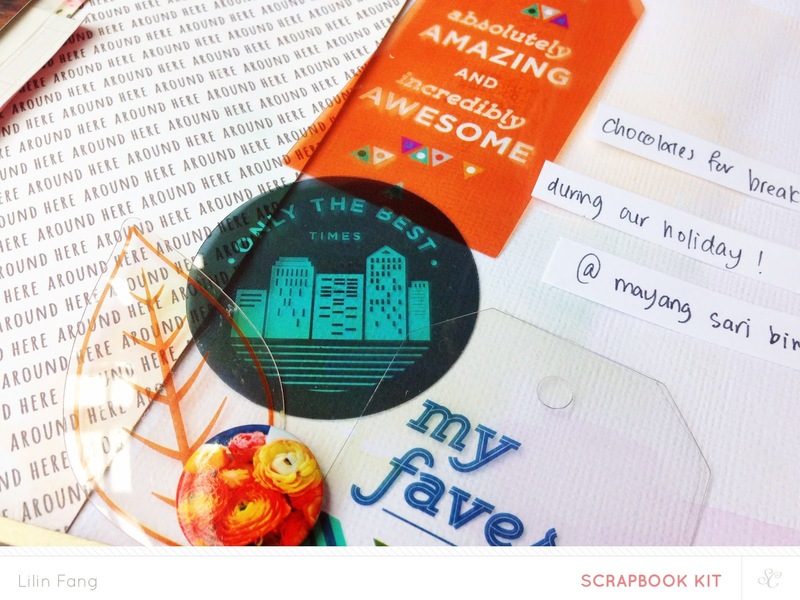 do drop by the studio calico blog to check out the talented ladies who are on the creative team and the list of contributors for the next year! 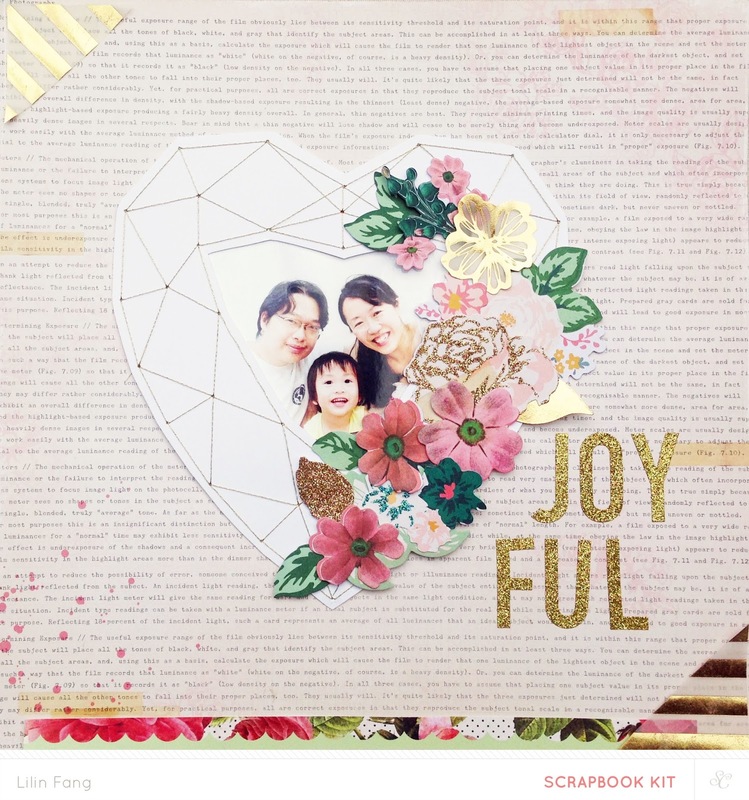 the design of this layout started with me cutting the diamond chipboard into triangles. 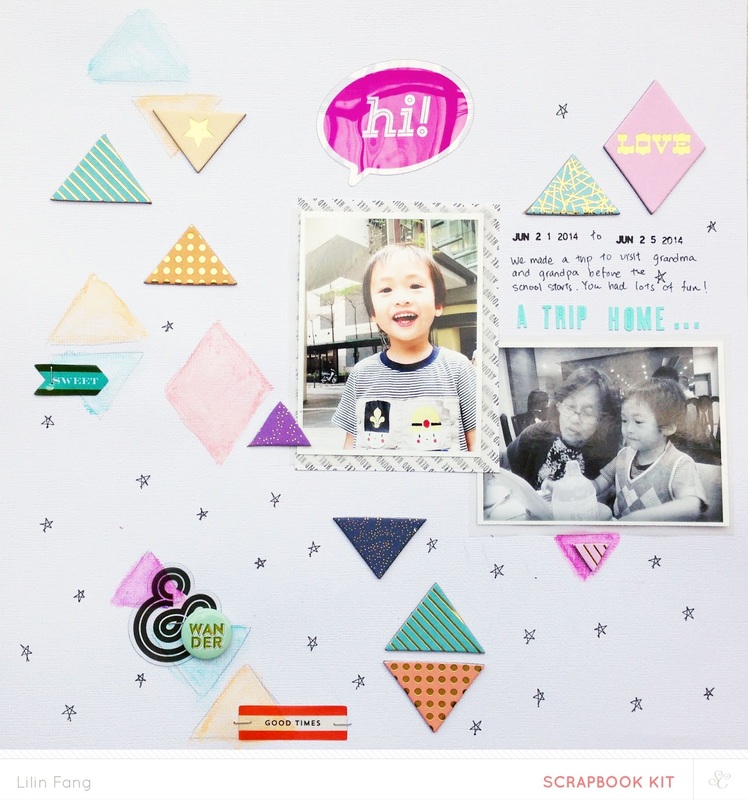 i wanted to make a layout with all the triangles scattered around. to add more layer, i used a pencil to draw more triangles and color them with watercolors. I also got inspiration from ashley's class to draw some star markings to add interest to the page. 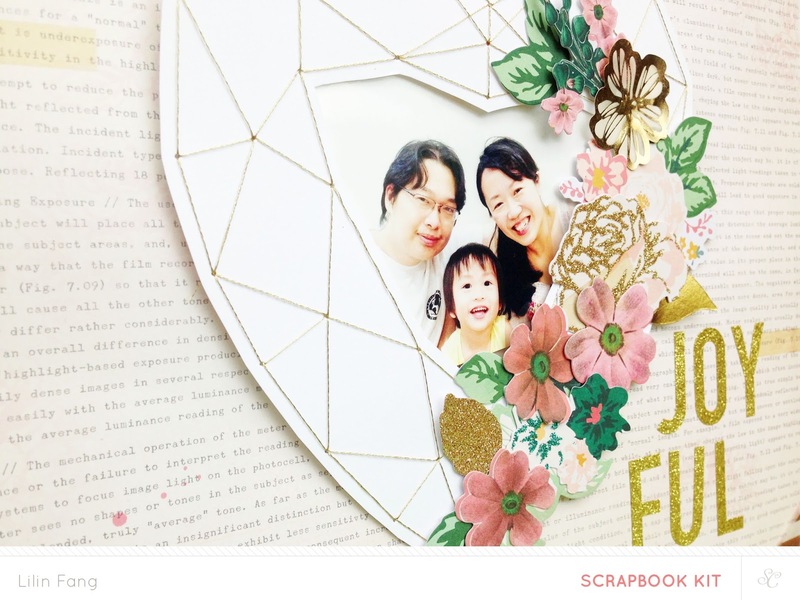 for some final touches, i added transparency die cuts, my title and journaling. 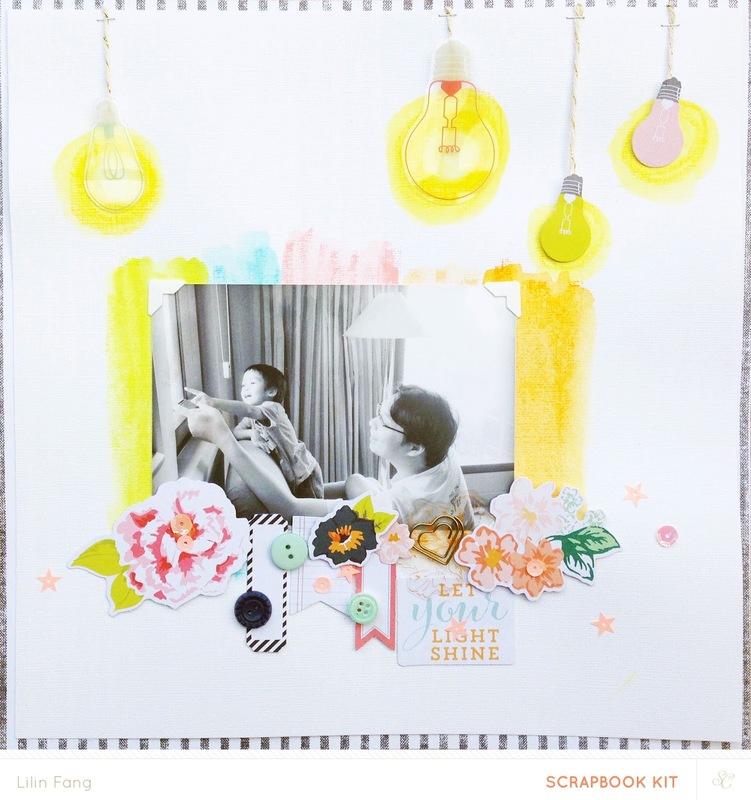 for this layout, my idea was to spilt the page into 2. one side with a pattered paper and simple with a photo of ethan, and the other side with white cardstock and a bit messy with a cluster of embellishments and journaling. with this idea in mind, i selected my favourite patterned paper and adhered it to a piece of white card stock. i didn't want it to be exactly half, so used a 75%-25% rule. most of my embellishments are the transparency die cuts, so to show more layering, i added some watercolors to the white cardstock. for this layout, created my own version of a christmas wreath. i used paige's digital design as a sewing template and sew the wreath with gold thread. I had lots of fun decorating with all the die cuts from ritz and used it to frame a photo taken last christmas! 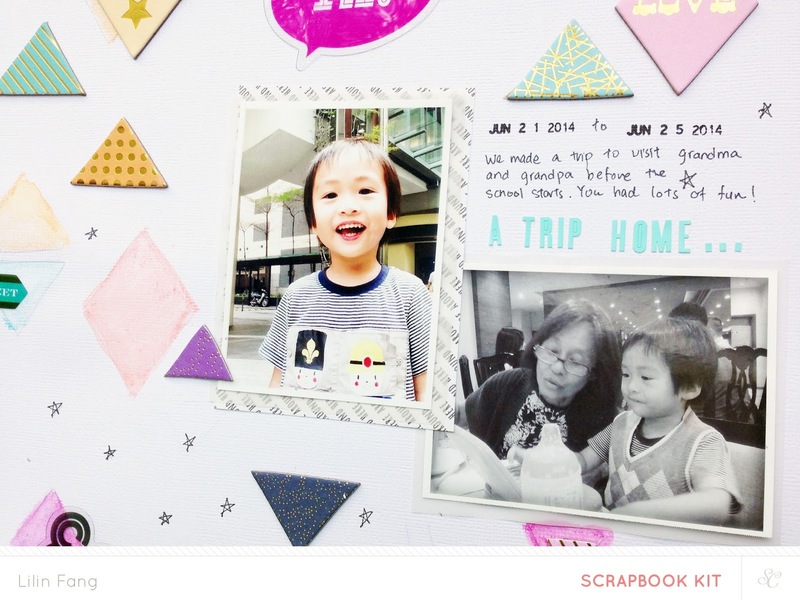 i kept the rest of this page rather simple and only added a title - joyful to complete the page. the design for this layout came about when i saw the light bulbs! 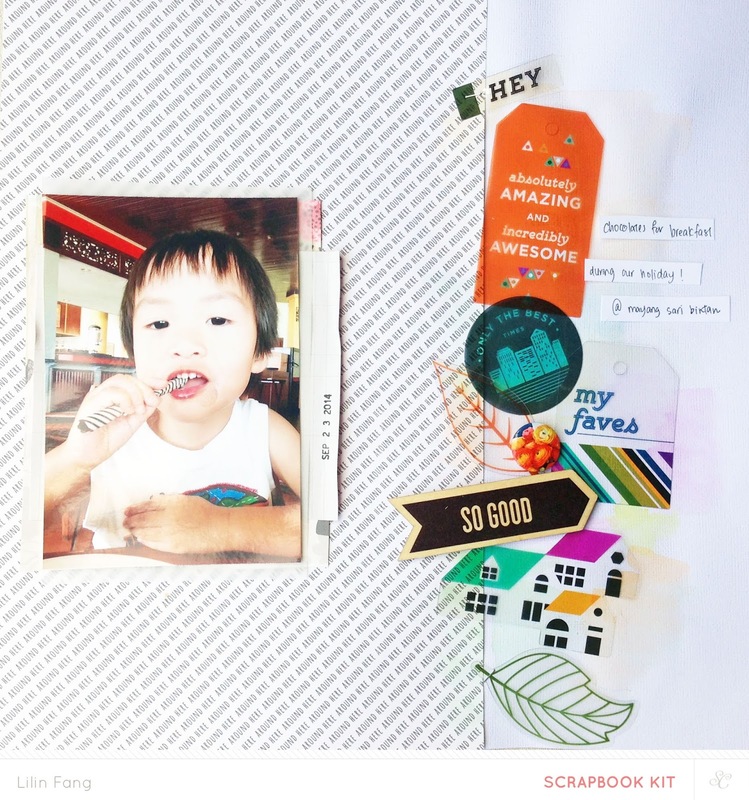 this page was inspired by wilna! in one of her recent layouts for webster pages, she has these cute little light bulbs hanging from the top of the page with thread. so i lifted this idea and used yellow gelato to add 'light' to the bulbs! next, base on the colors of the die cuts in helmsey, i used painted a rainbow background for my photo with gelatos. then i used the die cuts, sequins, buttons and paper clips to create a banner in front of the photo. i loved how this page turned out and how the focus of the page is still on my black and white photo! ok, that's all i have today! 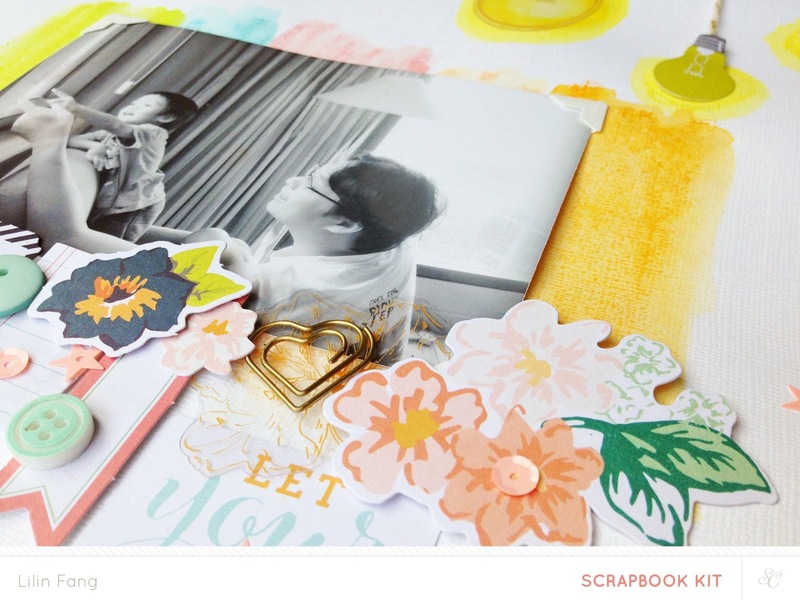 i hope you enjoyed my pages and if you are interested in finding out more about studio calico's scrapbook kit, click here.